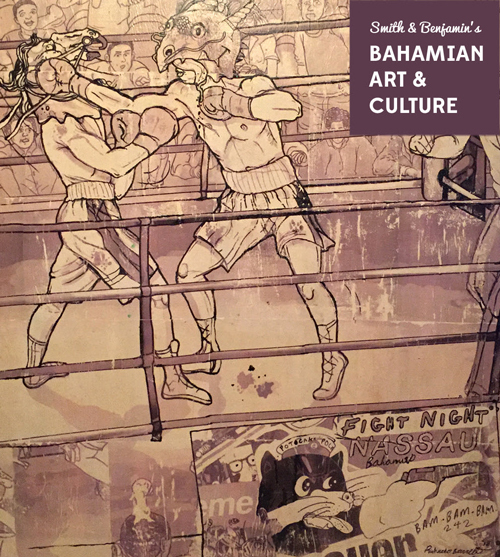 • Cover art, by Richardo Barrett, won the 2018 Central Bank of The Bahamas Art Competition Open Category. • Must-see Art & Cultural events: Shakespeare in Paradise, NAGB Presents: A Season at Fiona's Theatre and the Patchwork Potcake Adopt-a-thon and Workshop, Bahamas National Youth Choir, and The Current at Baha Mar's October Art Workshop schedule. • Art news and stories on Bahamian and Caribbean creatives: Jeffrey Meris, Giovanni Swaby Gio Swaby, Sam Treco, Lillian Blades, Khiara Sherman, Rosemary Clarice Hanna, Susan Katz Lightbourn, June Own, and Veerle Poupeye.